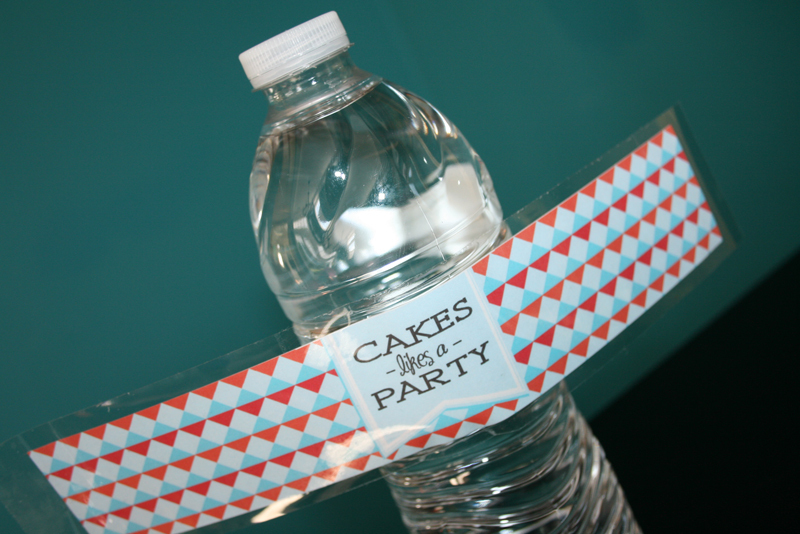 One really simple party trick that we beat to death use a ton around here is make personalized water bottle labels. 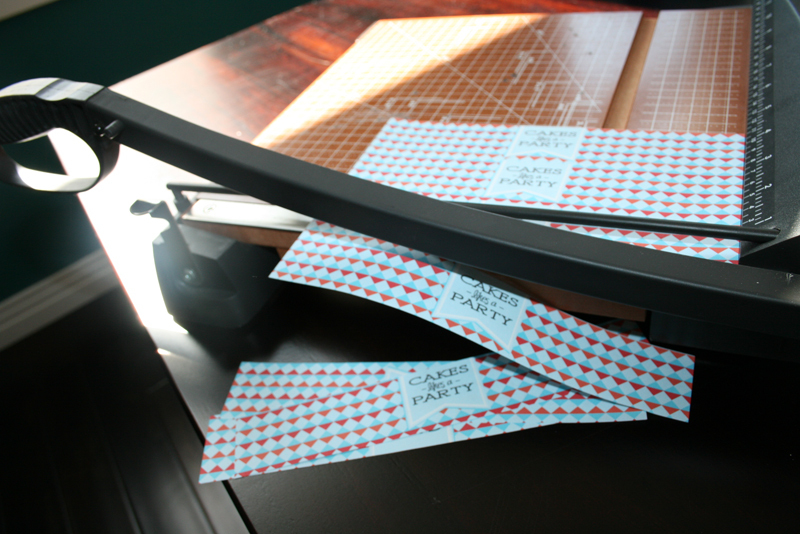 This is the easiest thing in the world but adds so much to a party. How to do it? Well, keep reading my dear. 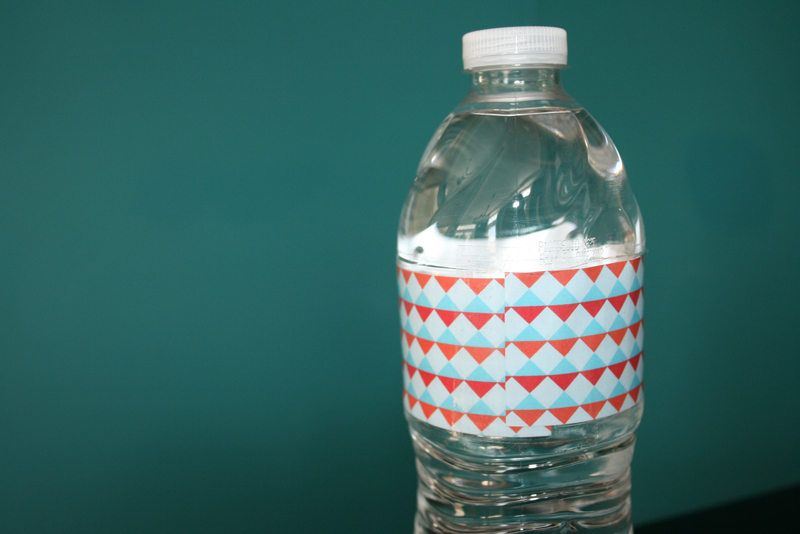 First, figure out what you want to put on the water bottle. I keep the image to 8.5″ wide by 1.5″ tall and repeat the design so that it fits onto an 8.5″ x 11″ piece of paper. I realize that you may not be able to design something from scratch on your computer but don’t fear! You can use clipart, just type something fun like “Happy Birthday George!”, or even just use pretty paper from your nearest craft store. I print on standard 20 lb. white paper. Nothing fancy here, my friends. 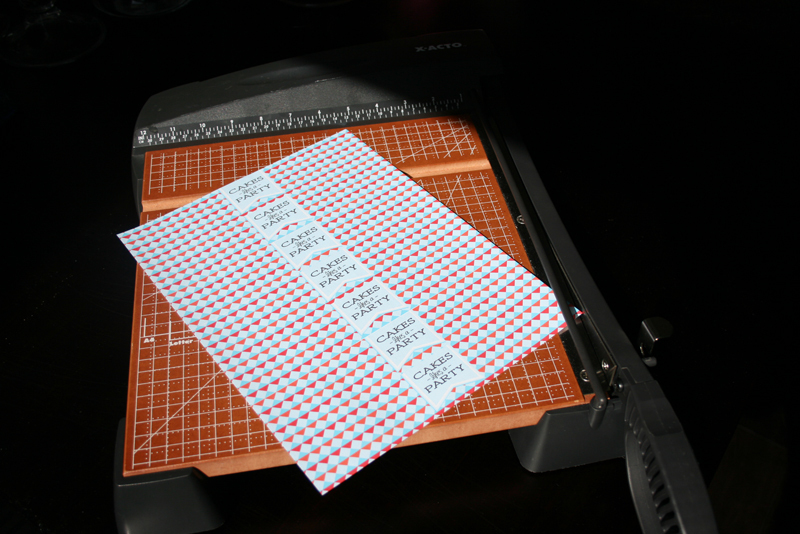 Once you’ve got your design printed out, get out a paper cutter (or scissors) and chop, chop, chop it into 8.5″x1.5″ strips. Don’t fuss about being exact. Just eyeball it but keep it in that size ballpark. Now you have your labels! Big pats on the back! 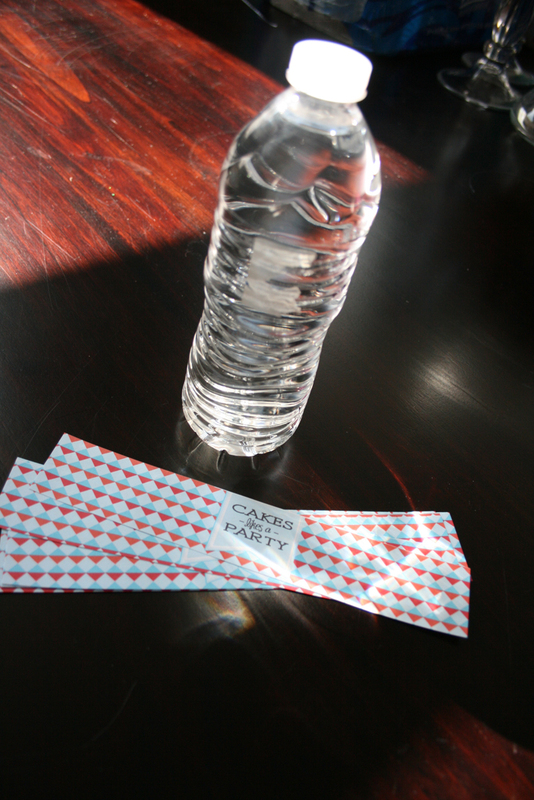 Grab a water bottle and strip it of that ugly wrapper it comes with. Ahh! Much better already! 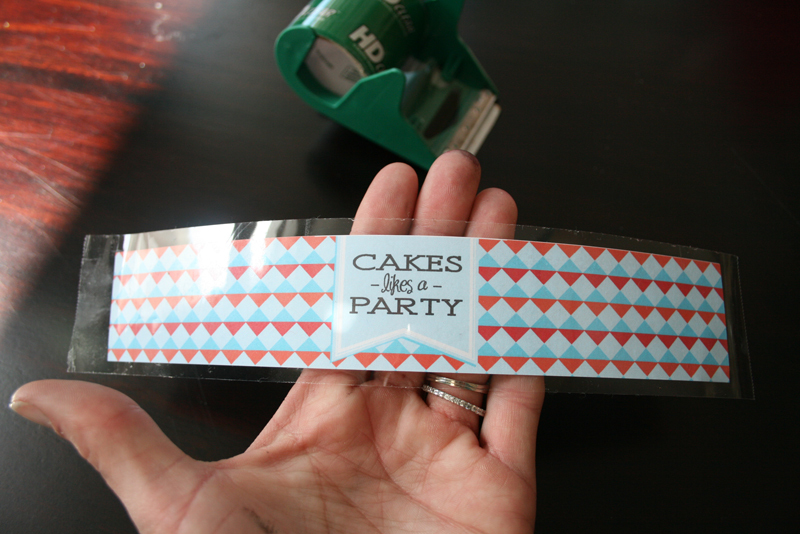 Now get out some clear packaging tape. 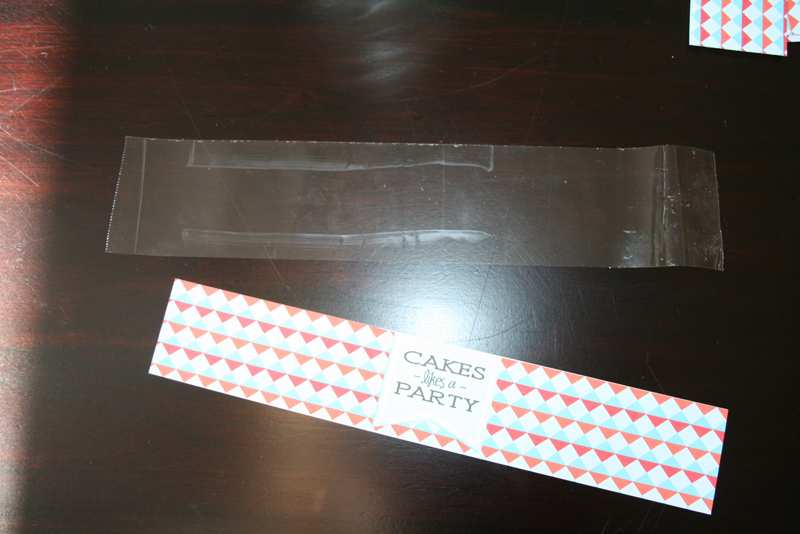 Then rip a strip that’s just a little bit longer than the label… say 9 inches or so. 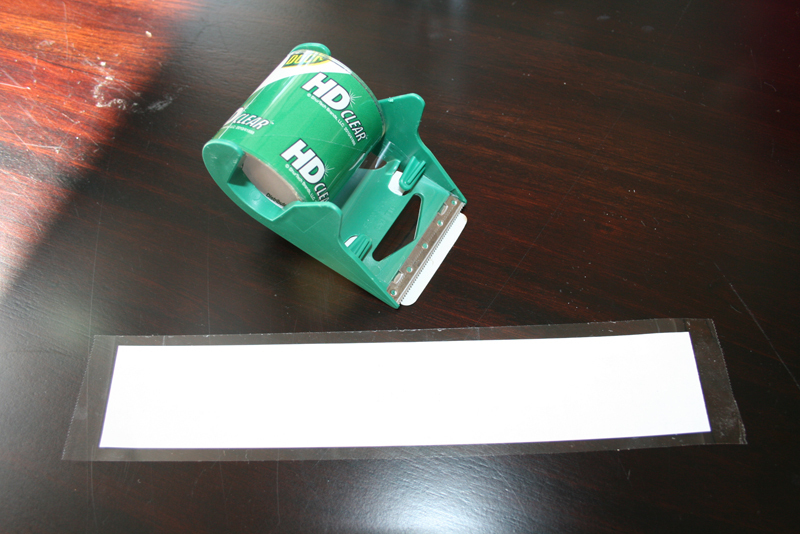 Lay the tape sticky side up and place the label pretty side down on top of it, leaving room around all sides for the tape to show. Oooh… we’re getting closer! 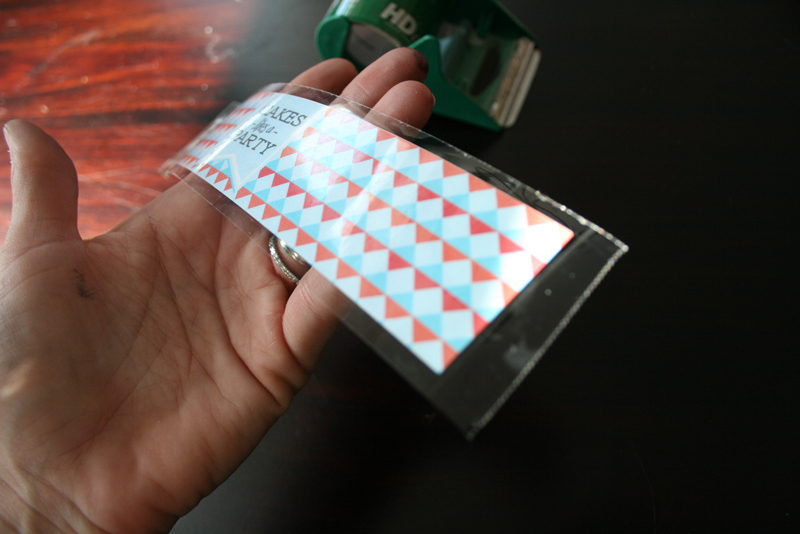 Make sure to leave about 1/4 inch of tape (or more) on the end of each label. Now it’s time to put that sucker on! 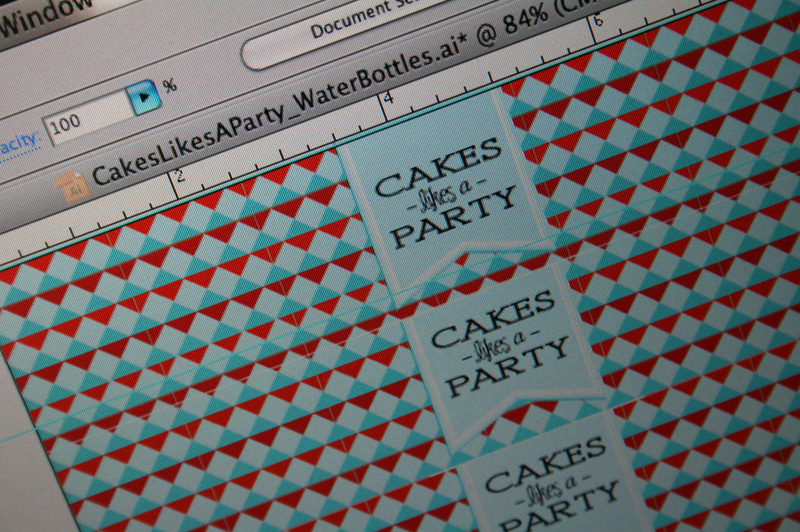 I start by positioning the main graphic where I want it to go, then wrap one side then the other around the bottle. Don’t get your knickers in a twist if the back doesn’t match up. You will go insane if you try to make it perfect (especially if you’re having a big party) and no one will notice or care. And who likes a fussy host? Oh, not me! The only drawback to wrapping the bottles with tape is that if you put the finished products into a tub of ice, the ink will smear and your pretty design will look dreary. I just keep the water room temp and no one ever seems to mind. So kazaam! You’re done! And just like that, you’re so super cool! The toast of the town! They will be singing your praises in the streets of your city! And all because you’re making the world a prettier place one water bottle at a time. 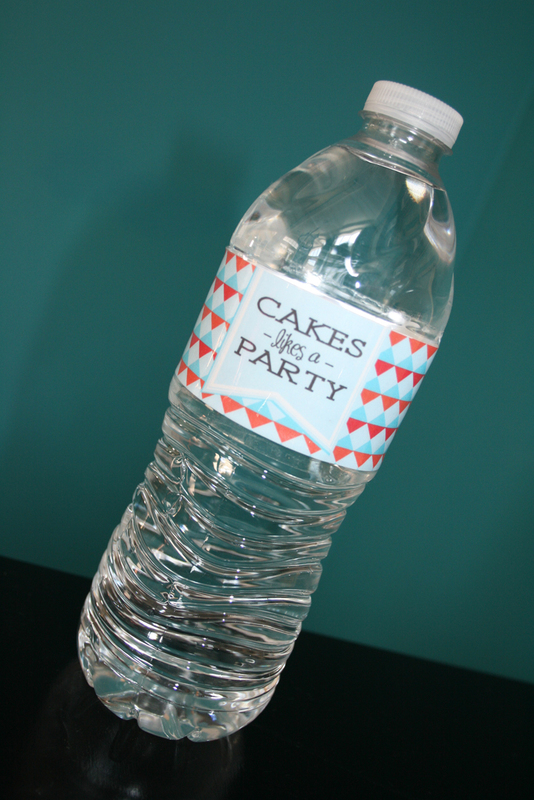 This entry was posted in how to's and tagged how to make personalized water bottle, water bottle label tutorial, water bottle labels by Annika. Bookmark the permalink. This was so great!!! Thanks for the step by step directions Annika. I may even be able t do this! And now I can be almost as cool like you!!! So Cute!!! I guess the same could be done for soda bottles or wine??? What kind of cutting board is that? I have been a slave to the xacto knife forever! Hi Lauren and thanks for reading! Funny you should ask, because it is an Xacto cutting board and it’s fabulous! I’ve had a few different kinds over the years and I prefer this one. And yep! 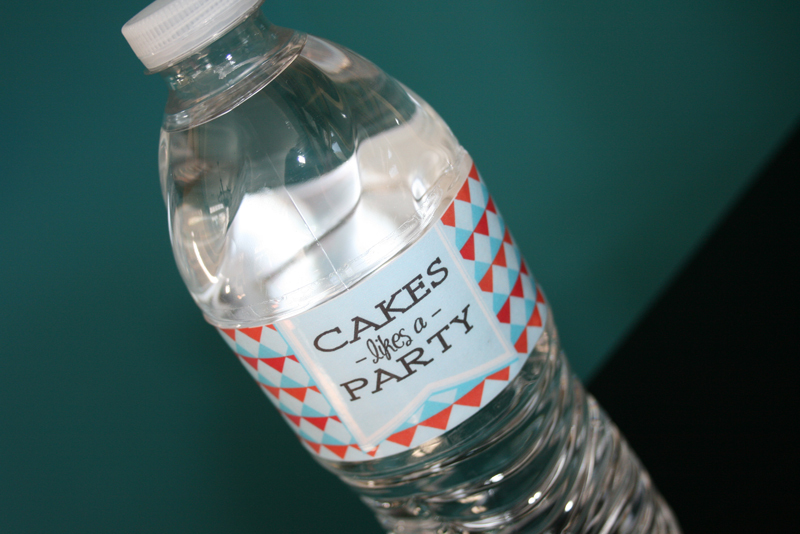 You can pretty much cover anything… soda, wine, even whipped cream cans. It gets a bit addicting! Happy wrapping! What program did you use to create your design? I would like to know what program you used as well? Thanks for the great instructions! I need to go get some of that tape! 🙂 Birthday party is tomorrow.